Businesses of Azerbaijan, the leading nation of the South Caucasus with a population of 10 million people, strive to enter China. In a recent interview to Chinese CGTN, Azerbaijan’s leader Ilham Aliyev stated that the country has already sent several export missions to various regions of China, which is expected to hugely contribute to the development of trade. In addition to the opening of the Trade House, the sale of wine and pomegranate juice produced under the “Made in Azerbaijan” brand has begun in the western part of China. The first Azerbaijan’s Wine House abroad opened in China, Urumqi, in September 2018. The country’s second Wine House in China opened in Shanghai on November 8, 2018. Azerbaijan also participates in large exhibitions organized in China with its agricultural products. “At the same time, our doors are open for Chinese businessmen. As I said, we would like to see them more as investors, the trading side, contractors,” he said. “Naturally, our main goal is to accept goods from China and ensure their transportation. Inside Azerbaijan, everything is ready. At present, Azerbaijan possesses the largest fleet in the Caspian Sea. These are mainly tankers and other cargo ships. They transport goods from the East to the West and back. Of course, we would like more Chinese companies to work in Azerbaijan, so that they invest in our country, find new opportunities. Thus, “One Belt, One Road” is indeed a very important project for us. We fully support it and have contributed to the creation of his missing part,” he said. 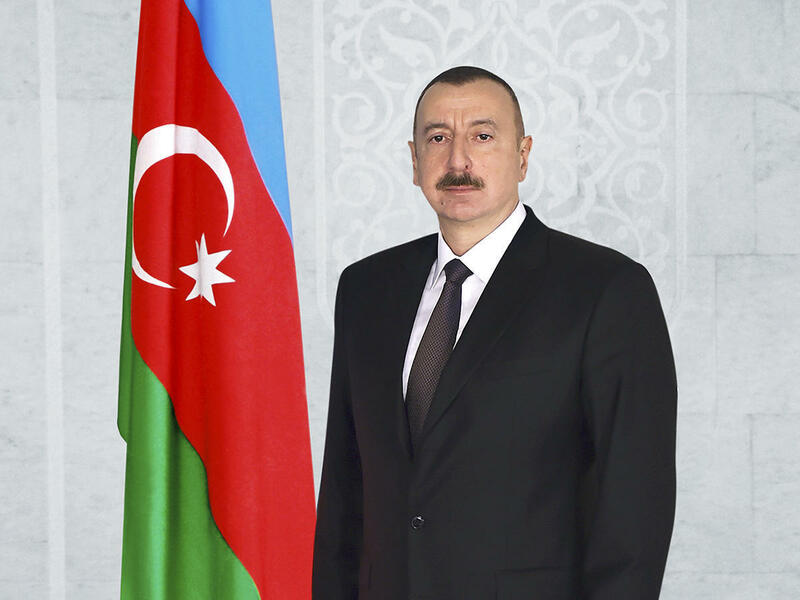 Commenting on this issue, President Aliyev emphasized that Azerbaijan’s goal is to create good conditions for the people. Therefore, the country upgraded infrastructure and created conditions for the benefit of business circles. “These investments are for the future. We do not expect that the investment will pay off, perhaps in the next ten years,” said the President. “We are creating a mechanism for attracting investments, at the same time providing loans to the private sector at very low interest rates, so that they can also invest in industries that generate income in a short time. For example, industries such as agriculture, small and medium businesses,” he said. “Spend less, earn more” – perhaps, this is how Azerbaijan managed to create its impressive infrastructure without getting into debt. The country’s foreign debt makes only 19 percent of the GDP.